The third times the charm or something like that! We’re now into April and I’m still sat here writing this log, so things are going well. As always the rules I set for myself can be found here. Now let’s see how I’ve done this month. This entry was posted in Reading Log and tagged Light Novels, Manga, Reading Log on 1st April 2019 by Demelza Ward. For the people who are know me it will come as no surprise that I’m writing a piece on a VRMMO light novel. A fan of the fantasy genre and the Isekai and VRMMO stories that fill it (especially here in the west), I spend a lot of time reading stories about heroes and other worlds. One of the series I’m fond of is Infinite Dendrogram, a light novel series being published in English by J-Novel Club. They’ve just started releasing the 9th volume (the latest in Japan) and the opening battle got me thinking about how great main character Ray Starling is. If you’ve not read the series before then I highly encourage you to and you can find out more at J-Novel Club’s page here. I’m not reviewing the series so I don’t really want to stray from the meat of the article by getting into what the story is about right now. The thing is, generally speaking characters do good things because they’re in the right place at the right time. Either that or they’re just OP enough where there is no real risk to their lives and thus are always willing to take up a challenge. In Ray’s case none of these are true – well, except that his life isn’t really at risk because Infinite Dendrogram is not a death game. Anyway, Ray races onto the scene with no real guarantee that he’ll make it through the fight alive. If he dies he’ll be given a death penalty and unable to log back in for a set amount of time, at which point there is no one to save the orphans. Knowing this he runs into danger to put everything on the line to accomplish his goal. It’s life or death but Ray will do his best and put up a fantastic fight for his beliefs. This all comes with a heroic speech about how standing still is the worst thing you can do, naturally. Honestly reading this back makes Ray sound kind of insufferable, but he’s actually not. In fact I’d go so far as to say he’s one of the protagonists I like best in this particular genre and certainly from among the books J-Novel Club publish from it. He’s down to earth and modest while also being a little dense. Honestly author Sakon Kaido has done a great job crafting him into a really likeable hero, someone who isn’t OP or too unrealistic. Credit is also due to translator Andrew Hodgson, who does a great job at giving Ray a distinct and fitting ‘voice’. That goes double for this volume, which is shaping up to be one of the best yet. In a genre filled to the brim with unlikable and or likeable but cookie-cutter protagonist, it’s just nice to have someone a bit different. Ray certainly shares similar traits to these other protagonists, but he’s also better than them. A hero to send shivers down your spine and truly make you believe in the concept. I never thought that I’d be this excited about a volume of Infinite Dendrogram, but there is something special about the way its written and how things are progressing. I’m not sure Ray is going to be overcome all the tests ahead of him, and frankly the series isn’t shy about meddling with some dark concepts so it wouldn’t surprise me if it’s made to suffer – but that’s again. A true hero will raise again and so Ray will too. Ultimately I just wanted to gush about how much I’m enjoying this book already, but I’ve never really talked about Infinite Dendrogram before either, so this seemed like a good opportunity, I really hope that the forthcoming anime adaption of Infinite Dendrogram does the series justice so you can all join in with my love for it! 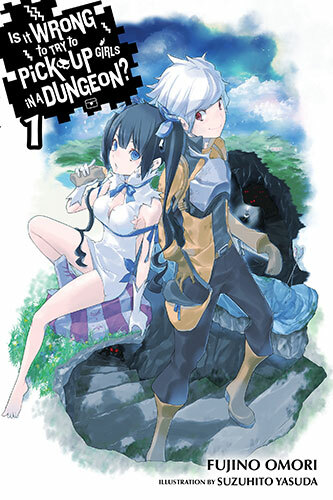 This entry was posted in Light Novel Features and tagged Feature, Infinite Dendrogram, J-Novel Club, Light Novels on 21st March 2019 by Demelza Ward. It’s time for the second instalment of my reading log! I’ve managed to commit myself for more than a month, so things are looking good. The rules I laid out for myself in the first month can be found here. With that said, let’s found out how I’ve done this month! This entry was posted in Reading Log and tagged Light Novels, Manga, Reading Log on 1st March 2019 by Demelza Ward. Thanks to writing a post on here the other day I realised that I should use this site more. One of the things that sprang to mind is a monthly reading log, keeping track of the manga/light novels I’ve read in that given month as well as linking to any reviews that might have come from them. This entry was posted in Reading Log and tagged Light Novels, Manga, Reading Log on 1st February 2019 by Demelza Ward. 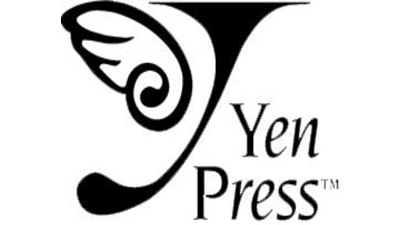 One of our favourite manga and light novel publishers, Yen Press, has today announced that they will be publishing the original light novels for Log Horizon, The Devil Is a Part-Timer and No Game, No Life in 2015. All three series have become big names in and outside of Japan. All have received anime adaptations with Log Horizon being given a second season in October. This entry was posted in Light Novel News, Light Novels, News and tagged Light Novels, Log Horizon, News, No Game No Life, The Devil Is A Part-Timer, Yen Press on 30th August 2014 by Demelza Ward.